Demography is Destiny. Recent auction results from Amelia Island are pointing to a new reality. The incoming “Youngtimer” generation is transforming the collector car market. There is now a large, young, and affluent demographic that desires cars from the late 1980s through the early 2000s. There are many examples of highly bid Youngtimer cars at Amelia. 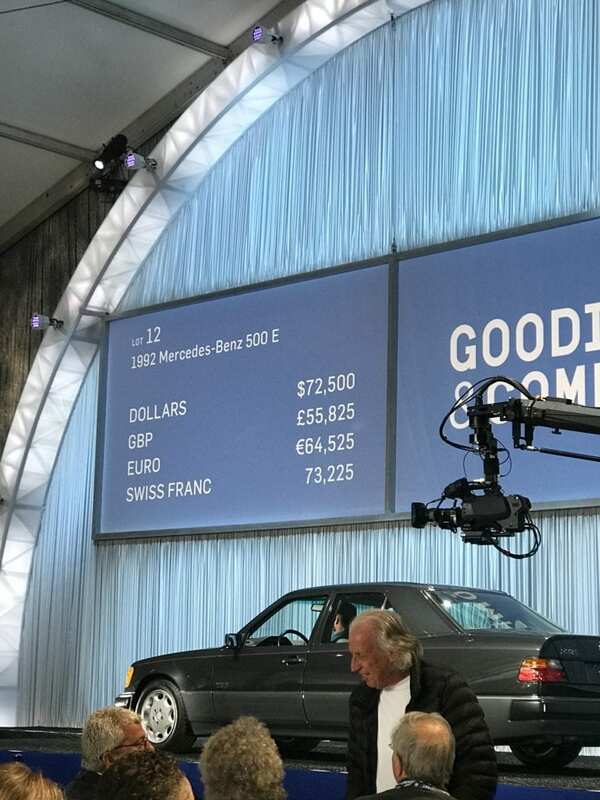 An ultra-low mileage Mercedes 560 SEC brought $75,400 all in. 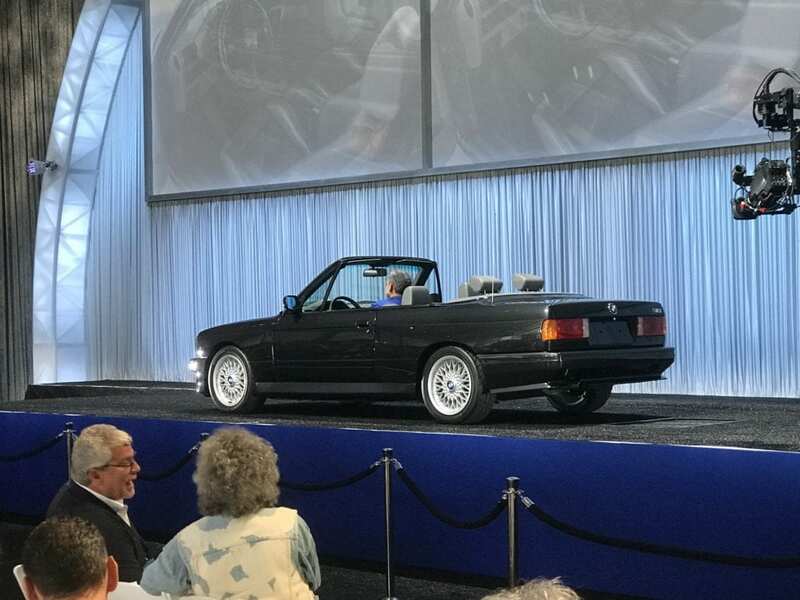 An E30 M3 brought $95,200. A 2004 Porsche Carrera GT brought $687,000. 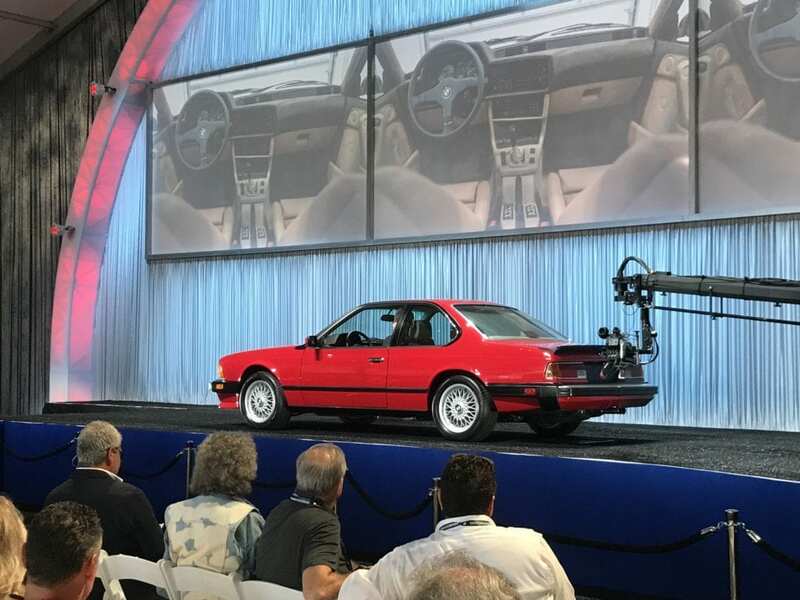 RM sold a 1994 BMW 850 CSi for $184,800. A Ferrari 550 Maranello in need of a $15,000 service fetched $184,800. 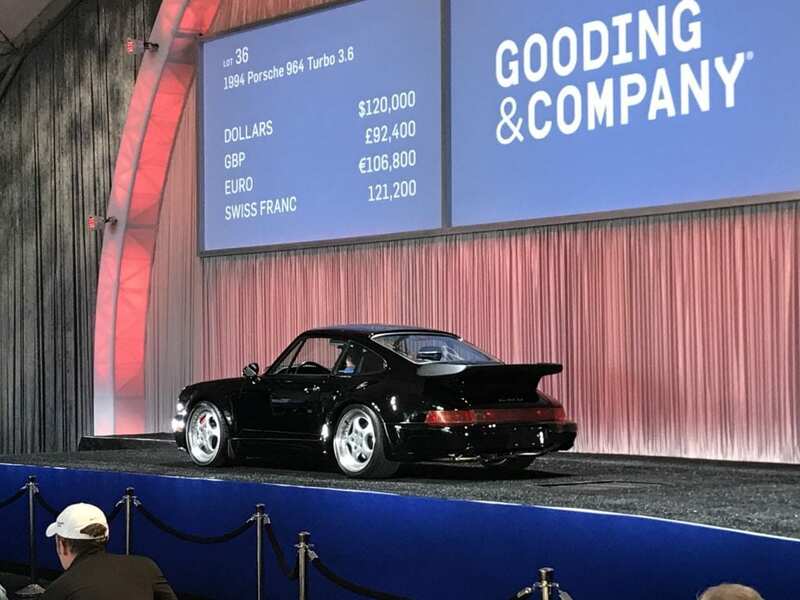 A 1997 Porsche 911 Turbo S sold for $346,000. All in all, the prices were very strong for Youngtimer cars. While some Youngtimer models had generally high factory production numbers, few investment-grade examples still exist. Back in the day, most of these cars were simply used up. Finding a sub-10,000 mile Porsche 928 GTS or Nissan 300ZX Twin Turbo is no easy task. One would have an easier time finding a unicorn than a 1992 Saab 900 Turbo SPG Convertible with under 5,000 miles. Last week’s auction results at Amelia add further credibility to the developing trends we have been observing over the last few years. The message from Amelia this year: Tastes are changing. Perhaps the most illustrative example is the stunning $173,600 sale of a black Twin Turbo Toyota Supra at RM Sotheby’s. This sale comes on the heels of BAT’s recent $121,000 sale of a similar Supra. Contrasting the record Supra sale, two gorgeous Ferrari Dino’s were on the block at Amelia and the results were only ho-hum. One Dino was offered by Gooding and the other by RM Sotheby’s. Both cars were excellent examples. The Gooding car was a 43,000-mile one-owner example. It sold for under $300,000 before fees. RM’s Dino had an unknown early history but was still a fine example. That car was a no sale. It was not long ago Ferrari Dinos enjoyed robust demand and regularly fetched over $500,000. The market message: Ferrari Dino’s are out, and Toyota Supra’s are in! While the Youngtimer generation was in the spotlight, several pre-war cars also enjoyed strong bids at Amelia. RM sold a 1931 Rolls-Royce Phantom II Henley Roadster by Brewster for $566,000. A 1934 Packard Twelve sedan with Dietrich coachwork sold for $1,325,000. A 1954 Delahaye 135M at Gooding almost broke $500,000. Overall auction results at Amelia are off their highs but bidding still remained fairly strong across the board—except vehicles that lacked quality and provenance. A wide range of cars sold for decent money at Amelia—as usual, a oddball Fiat Jolly fetched six-figures. Certain important cars from the ’30s were in demand—especially those with bespoke coachwork. However, it was modern Youngtimer classics that stole the show and rang the bell. We are definitely entering a new age in the collector car market. Expect more Supras to go to the moon. Expect Dino’s to fall back to earth. The mediocre resprayed BMW M6 sold for over $60,000. This 31,000-mile Mercedes 500E sold for almost $80,000. Great article and I can see the market heading to the 80’s-90’s car from an anecdotal perspective as I go to many local car shows and Cars & Coffee events. I have seen a marked change as to the cars that get the most attention in the last couple of years. In my opinion there was a lot differentiation in the cars offered by different manufacturers and the 80’s were the time when the oil shortages, scare and “bad” cars of the 70’s were on the way out and manufacturers started offered some very interesting cars, the examples of which you mention in your article. Have you seen the most recent issue of SCM—your car is featured. When I was in the height of my youth car mania, the cars of the 60’s were hot, and that’s what I wanted. Still do. 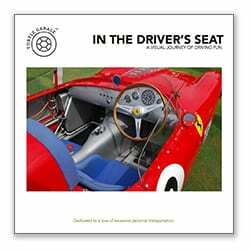 However, in those days we who were in “sports car clubs” drove underpowered cars with side curtains, minimal heaters etc. We thought it great fun to row the gearbox to keep the revs up on curvy roads with moderate hills and valleys. Going over 60 MPH was a challenge. I don’t think that younger folks want that kind of experience. Also, I wonder whether younger folks want convertibles as much as we did. In our generation, a “sports car” meant open-top driving. But in the ’80’s convertibles almost disappeared, and that was the world in which the next generation came of age. I notice (perhaps coincidentally), that three of your four pictured cars were hardtops. Going back to my generation, I don’t see anything from the ’50’s that looks very impressive to me. Even production Ferrari’s of that era didn’t have intrinsic beauty to those of us whose first sighting of a Ferrari was a 275 GTB. The Series 1 XKE changed everything for our generation. After that car was introduced, everything else was irrelevant until Chevy countered with the C2 split window, and Ferrari with the 275 GTB (both cars having very similar style points such as the side window treatments). Pininfarina got better with a series of Home Runs, and Bertone had the Countach. Note that these great designs were all coupes, not convertibles. The XKE always looked better in coupe configuration, and so did the C2 Sting Ray. The next collector generation (now reaching 40 years of age) sees coupes in a better light than the old collectors, and they really like a few amenities. Interesting comments. I first came across the “Youngtimer” categorization in Germany, where old cars are actually called “Oldtimers” (yes, in English). Anyway, I think there is a fundamental difference in the market for these cars. Most of the cars at the auction were in pristine condition, with very low mileage, whereas you can find lots of similar cars, which were produced in fairly big numbers by big manufacturers, with high mileage for not all the much money. Porsches are an exception, having a cult following. I am not sure that the Youngtimers tick all the boxes for collectors–beauty/performance/rarity/history–in the same way that a Dino or custom-bodied Packard would. A Ferrari Dino looks special; an E30 M3 convertible looks pretty much like a regular E30 convertible. I think the reason that these pristine Supras or Integra Type Rs are getting big dollars now is that there are so many examples that are simply used cars since they have been driven so much. Buying a clapped-out Supra will require spending a whole lot of money to bring it to the condition of the one sold at auction. Still, buying tastes change and a Youngtimer is much more practical than anything built before 1960. So what was the demographic of the bidders? Who are the attendees that are paying these prices and are they buying to re-sell or to drive? It may be the older, high end cars are simply not great investments any longer and a better measure might be the more domesticate auction houses where those same years are also taking hold. We call ’em young guns out here in the heartland. These enthusiasts still enjoy the drive like us oldtimers.